Why is the fourth finger on the left hand the one on which we typically wear our engagement and wedding rings? Once upon a time, long before the advent of modern science, people believed that a special “vein of love” — called the vena amoris in Latin — connected the fourth finger on the left hand directly to the heart. Today, of course, we know that no such vein exists, and that all 10 of our fingers are similarly constructed (and that all the veins in our bodies run to the heart). Yet the tradition of wearing a wedding ring on that finger has endured in many cultures throughout the world — though not all. In fact, in certain countries in Eastern and Northern Europe and South America, for instance, the wedding “ring finger” is on the right hand. And for many couples today, what constitutes the ring finger is a matter of personal choice. 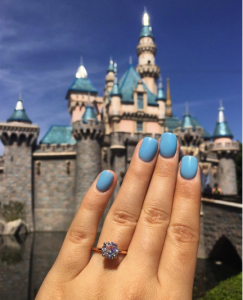 While we’re all for tradition, we also believe that whatever finger you choose to wear your engagement and wedding rings on is up to you. The most important thing is that the ring fits the finger it’s on. 1. 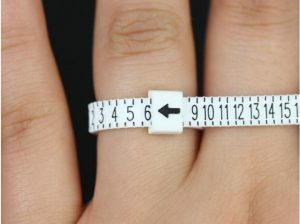 Avoid checking your ring size if you’ve been drinking alcohol the night before or eating foods that are high in sodium, or if you are fresh from exercising or other prolonged physical activity–all of which will cause your fingers to swell more than usual. 2. 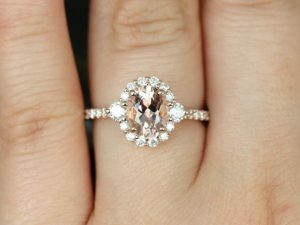 When trying on a ring, you should be able to glide it past the knuckle with ease and have it rest comfortably at the bottom phalange of your finger. When removing, a ring that fits well will feel tightest around the knuckle and come off with a bit of struggle. 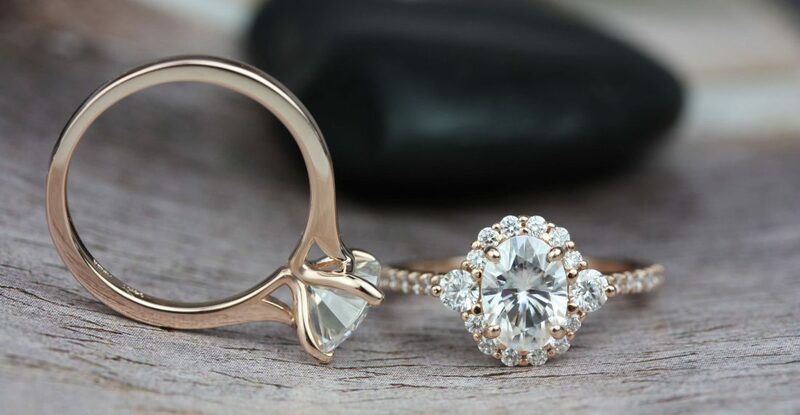 If the ring swivels 360 degrees easily when you move your hand, and/or you can slip it on and off your finger without any tension at all, then the size is too large. 3. 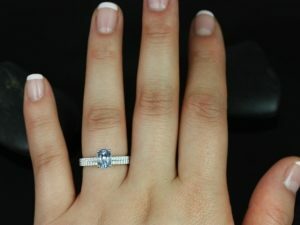 Another obvious way to determine if the ring is the right size is to put it on your finger and then dangle your arms and hands with your fingers pointing toward the floor. If the ring slides right off, then the size is too big. 4. A ring that you can put on past the knuckle but not glide into the bottom phalange with ease indicates the ring size is too small. Another obvious sign that the ring is too small is if it makes your finger turn purple or red and/or you have a hard time closing your hand comfortably with the ring on. 5. Should the ring get stuck on your finger, don’t panic and don’t pull! Instead, submerge your hand for 10 to 20 seconds in ice-cold water. Then remove your hand from the water and attempt to wiggle the ring in an up-and-down motion to get the ring off. You can also apply lotion around that area and do the same motion of wiggling up and down until you can pull the ring off. 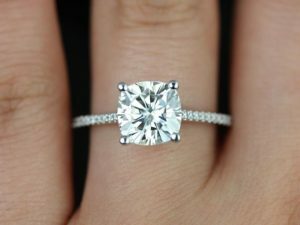 Learn more of our tips about determining the right ring size for you.